Many Automakers Talk About Performance. Mazda Proves it on the Racetrack. Mazda doesn’t have a museum in the U.S., at least not in the traditional sense. Mazda isn’t that kind of company. Museums are where cars go to spend the rest of their days, like a horse in a pasture, retired from its paces. Mazda’s historic racecars—20, 30, 40 years old or more—are happiest when driving at speeds upward of 100 mph, engines screaming at 9,000 rpm. As a company, Mazda believes that driving matters, and racing fans should be able to see and experience these legendary machines in action. In the 50th anniversary year of Mazda’s rotary engine, Mazda brought seven historic cars from around the U.S. and Europe to Rolex Monterey Motorsports Reunion to help share its story, bringing its heritage and successes to life. Deafening sounds, daring speeds and all. 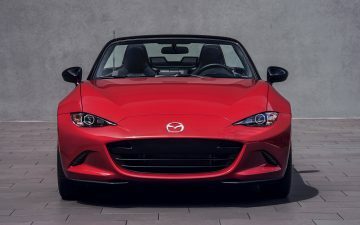 Being hosted at Mazda Raceway Laguna Seca, Mazda’s home away from home, only sweetened the five-day festival of seeing the legendary machines rip around the track. Usually Mazda employees take the wheel of the historic racecars, but to spice things up a little bit as Mazda transitions its prototype race team to working with Team Joest, three of Mazda’s top-tier prototype drivers—Joel Miller, Jonathan Bomarito, Tom Long—had the rare opportunity partake instead, and share their feelings from behind the wheel of the the nearly 30-year-old cars compared to their modern equivalents. “Just to experience the history of it was fantastic, and being able to drive one of these cars,” said Mazda pro racecar driver Joel Miller. Like his teammates who drive the Mazda RT24-P prototype racecar in the WeatherTech SportsCar Championship, Miller found himself with a rare weekend without competition. 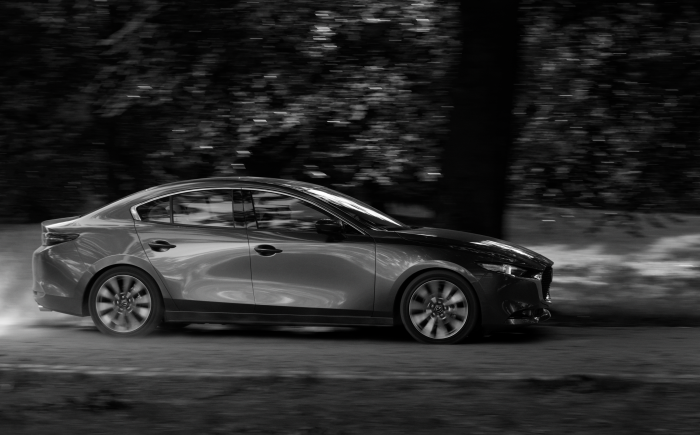 It provided Miller the opportunity to get into one of Mazda’s all-time greats from its Heritage Collection. Miller found himself to be the lucky driver of the 640-horsepower, 1991 Mazda RX-7 GTO that won the IMSA GTO championship with Pete Halsmer at the wheel back in its heyday. The GTO was also Mazda’s last factory-backed racer to compete at the 1994 running of the 24 Hours of Le Mans in France. During Reunion, Joel drove the four-rotor RX-7 GTO to a win and a second-place finish against other competitors from the 1980s and 1990s. “You get out and think ‘Man, they drove those things for 24 hours!’ Now, I can really relate to the stories when they say you had to take care of the car, and take care of the gearbox,” Miller said. In addition to the RX-7, Mazda brought several other notable racecars from its basement in Irvine, California. Miller’s WeatherTech series partner Tom Long drove to a class win in the 1989 Mazda MX-6 that formerly raced in IMSA’s less-powerful GTU class. The third pro driver to take the wheel of one of Mazda’s vintage cars, Jonathan Bomarito, won his class at the 2010 24 Hours of Daytona driving a Mazda RX-8, at Reunion this year he had the pleasure of driving the 1989 Mazda 767B prototype, a car that finished fifth overall at the 1989 running of the 24 Hours of Daytona.. In addition to the Florida classic, two Mazda 767B prototypes were entered in the 24 Hours of Le Mans that year, achieving seventh and ninth place. The 630-horsepower 767B set the stage for Mazda’s overall win at Le Mans in 1991 with the 787B, painted the same argyle pattern as its predecessor. Down 200 horsepower to the class winner at Reunion, Bomarito still finished second on track, thanks to his poise behind the wheel. Bomarito received the Rolex Trophy in his class, awarded to the driver with the most spirit, attitude and driving accomplishment. But, the three pro drivers weren’t the only Mazda drivers on the track. Mazda executive Robert Davis drove his period-correct 1973 RX-3 SP IMSA RS during Reunion along with three other Mazda brand enthusiasts who brought notable racecars to Mazda Raceway Laguna Seca. Owner Ralph Thomas drove the most successful endurance racer of all time, the 1985 “Team Highball” RX-7; Scott Spencer piloted his Argo JM19 prototype; and Swiss Mazda dealer Edi Taveri drove his 1986 Mazda 757, the sister car to what will be Mazda North American Operations’ next car to undergo restoration. Yes, Mazda’s racecar team took plenty of photos while the 757 was on this side of the ocean. Tom Long summed up why, to him, driving at the Rolex Monterey Motorsports Reunion matters: “[My experience] gave me a further appreciation of the impact Mazda had in IMSA GT racing during the ‘80s and 90s,” he said, drawing parallels to Mazda’s impact in everything from grassroots racing to the top-tier prototype series in which he competes.